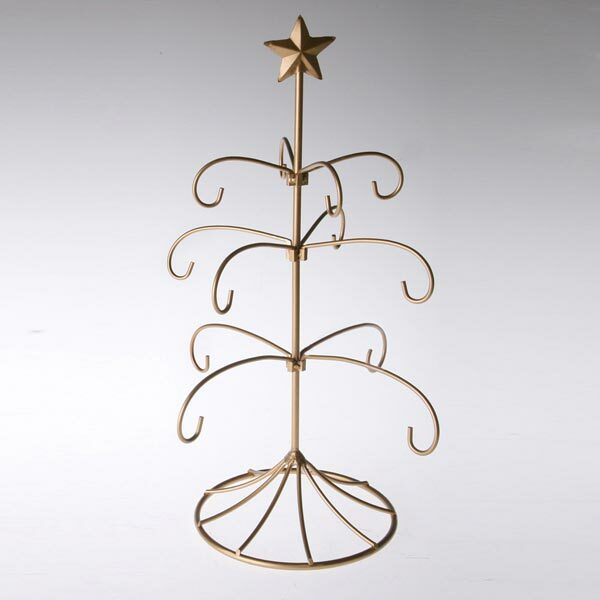 This sturdy metal tree is the perfect place to display your most treasured ornaments. Protect them from tippy trees and curious pets, while still displaying them for all to enjoy. 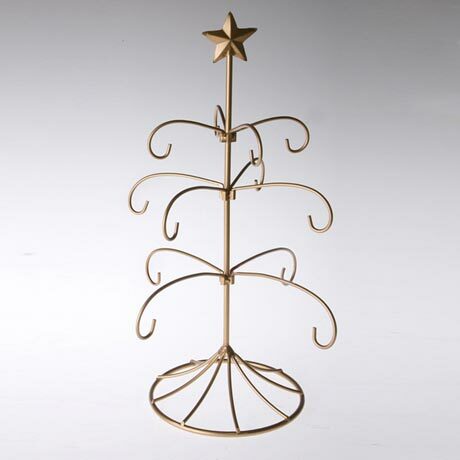 Tree is 18 ½ inches high with a gold finish. Breaks down for storage. Painted metal.